A surge of optimism filled Utah as World War I ended in 1918 and Utah's servicemen eventually returned home to cheering crowds, parades, enthusiastic celebrations and generous parties, although the influenza epidemic required some precautions. More than 21,000 of Utah's men had enlisted in land forces, and another 3,500 had joined the Navy and Marines. More than half were volunteers rather than draftees. Brigham Young High School students and their families on the home front had also proved their loyalty by contributing to scrap metal drives, growing victory gardens, and oversubscribing to the Liberty Bond drives, five of which were held in Utah. Although most Utah families in the 1920s might dispute whether they lived in "prosperous" times, they did, when compared to the 1930s and the Great Depression that followed. For many years, Brigham Young High School had enrolled more students than Brigham Young University. Steps were taken, beginning in 1920, to change this. The size of each high school class, previously exceeding 150 students in some years, began to be limited to fifty, beginning with the Freshman class in 1920. 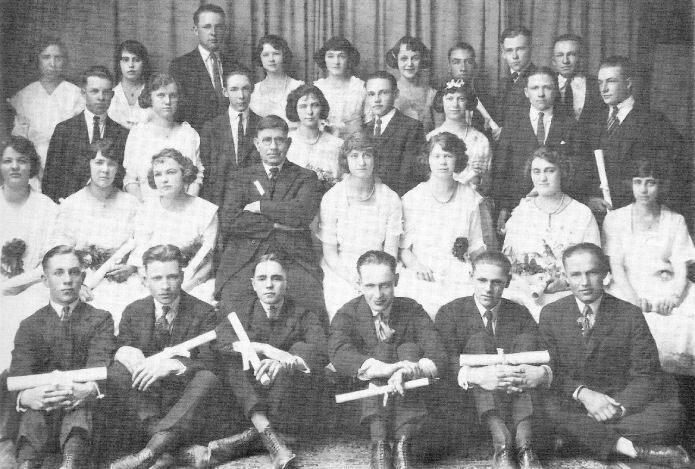 Therefore when the BYH Freshman class of 1920 graduated in 1924, all four classes in the high school had become limited to approximately 50 students each. William H. Boyle, Jr., began serving as principal of Brigham Young High School in 1909 and he served in that position through 1926. He shares with Karl G. Maeser the distinction of being the two longest-serving principals in B. Y. High history. 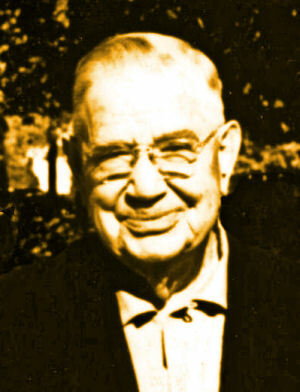 Asael C. Lambert briefly served as principal from 1926 to 1928, and the decade ended with a new principal, artist and educator Edgar M. Jensen. 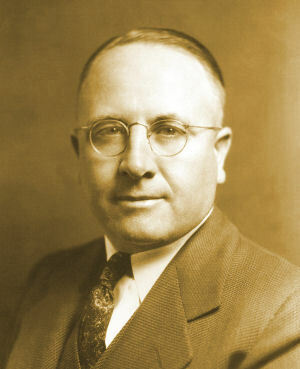 Jensen's term began in 1928, and continued on for seven years until 1935. President Heber J. Grant visits the campus. President Heber J. Grant had become the leader of the Church of Jesus Christ of Latter-day Saints on November 23, 1918, and he continued to serve in this capacity through the 1920s, and indeed, until 1945. He was a frequent visitor to BYH and BYU, and a great moral influence on students there. In January of 1921 the presidency of Woodrow Wilson ended. He had struggled hard to keep the US out of war during his first term, but after reelection, had asked Congress to declare war on Germany in April 1917. 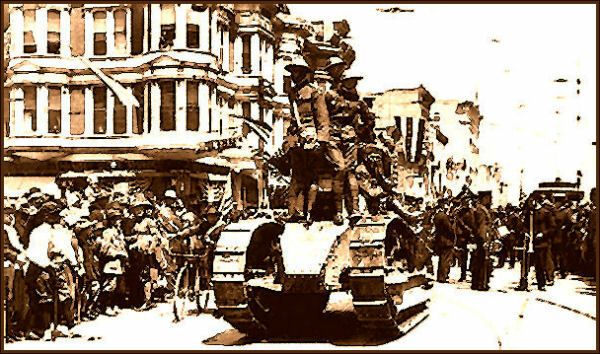 The massive American war effort had slowly tipped the balance in favor of the Allies. Germany had signed the Armistice in November 1918, but Congress subsequently refused to approve the Versailles Treaty. President Wilson, against the warnings of his doctors, had made a national tour to mobilize public sentiment for the treaty. Exhausted, he suffered a stroke and nearly died, but lived in ill health until 1924. Warren Harding was elected as Wilson's successor in 1920 and served from 1921 to 1923. His administration slowly became embroiled in scandal, with some members of his administration seeking illegal self-enrichment. In August of 1923, President Harding died in San Francisco of a heart attack. Calvin Coolidge, vice president, received word at 2:30 on the morning of August 3, 1923, while visiting in Vermont, that he was President. Coolidge served with dignity and few words from 1923 to 1925, when he was then elected president in his own right from 1925 to 1929. In 1928, while vacationing in the Black Hills of South Dakota, he issued the most famous of his laconic statements: "I do not choose to run for President in 1928." The decade ended with a new president, Herbert Hoover. Utah enjoyed relative prosperity during the 1920s, as mentioned earlier, when compared to the 1930s. Growth came in manufacturing, administration, business services, and transportation, but lagged behind in mining and farming. This was a difficult time for farm families who had invested in fruit trees or in sugar beets -- both earlier considered "sure bets." Dairying, however, became more important to Utah's economy. Profitable dairy products included various cheeses and evaporated milk. 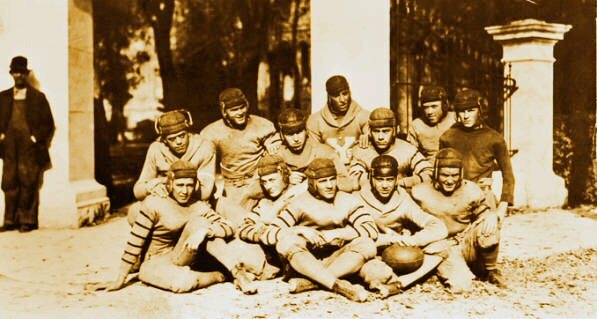 The big news in athletics at both BYH and BYU was that, by autumn of 1920, the BYU Board of Education reinstated football, lifting its 19-year ban on the sport. A search for a collegiate mascot ended in October of 1923 when BYU teams became known as the "Cougars." Not long thereafter, BYH teams became known as the "Wildcats." A dream of the students and faculty was to build a new stadium. A western hillside on Temple Hill was chosen as the site, and on September 29, 1928, BYU played its first football game in the stadium. Nearly every BYH and BYU student contributed money or labor. This stadium became the site of BYH home football games until the new BYU stadium was completed in 1964. The increasing urbanization of Utah meant that by 1921 nearly half of the population of Utah lived along the Wasatch Front. The percentage of Mormons in the total population declined to 68 percent as the state grew. The coincidence of a major water source and the intersection of two railroad lines led to the construction in the Provo area of the Ironton steel mill in the early 1920s, and later the much larger Geneva steel plant. To people who drove by the Ironton plant for decades thereafter, it was known as "The Big Stink." Geneva became controversial over the years as a source of pollution. However, both plants provided badly needed employment and economic stability for surrounding communities. Railroads brought in the needed raw materials and transported finished steel products from Provo. George Sutherland, a famous alumnus of Brigham Young Academy High School, was an attorney who had been elected to the US House and US Senate from Utah. 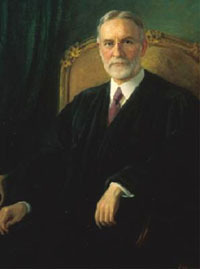 He was appointed by his good friend, President Warren G. Harding, and confirmed by the Senate to be a member of the US Supreme Court on September 5, 1922. He served for sixteen years until he retired in 1938. Senator Reed Smoot, another well known graduate of BYA High School, entered Congress in 1903 after a remarkable national debate, and during the 1920s held increasing power in the U.S. Senate. 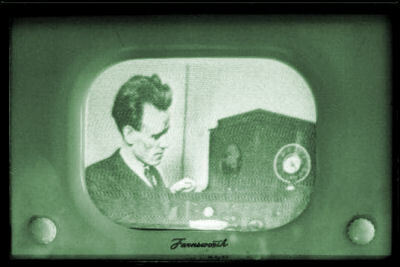 Another of BYH's most illustrious students is Philo T. Farnsworth, the father of television. In 1923, the Farnsworth family moved from Rigby, Idaho, where high school student Philo had devised his "image dissector" idea, to Provo, hoping to increase the educational opportunities they felt a university town had to offer their children. 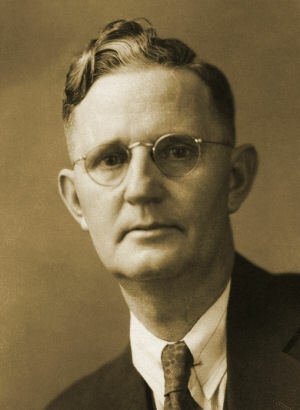 Farnsworth attended Brigham Young High School beginning in fall of 1923 until he graduated in June of 1924. His father died of pneumonia at the age of 58 in January 1924. 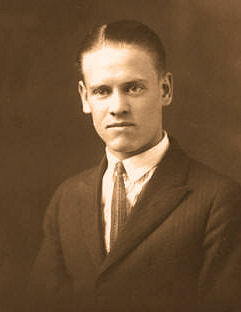 Philo Farnsworth struggled to complete his senior year at BYH, and then to provide for his family and continue his studies at BYU. Eventually he set up a laboratory in San Francisco, and transmitted the first television image on September 7, 1927. In 1925, both BYH and BYU celebrated their Semi-Centennial Jubilee -- fifty years since Brigham Young Academy was founded in 1875. 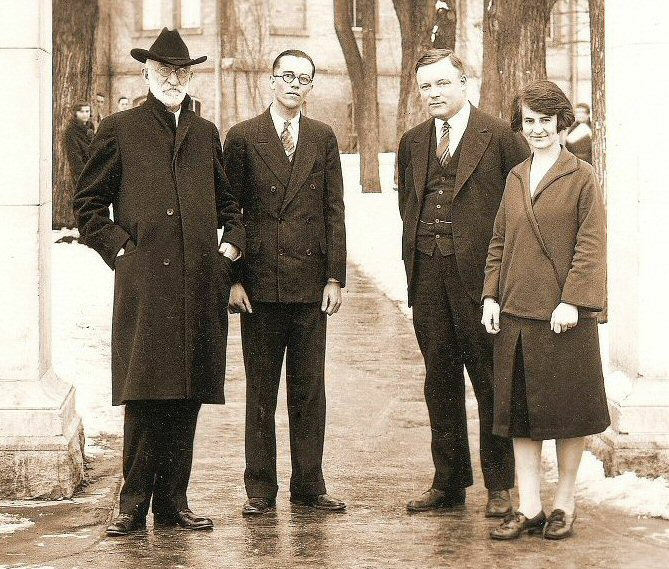 The 50th anniversary of first classes held was celebrated in January 1926. 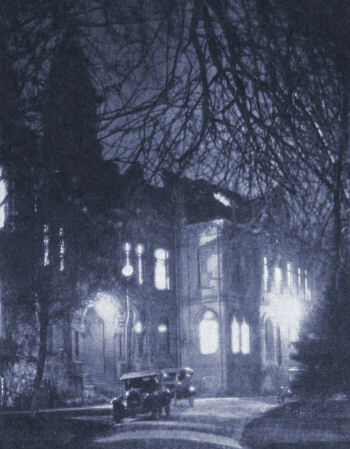 "I remember a jubilee celebration," wrote Dorothy O. Rea, Deseret News writer and a former student at the BYU Training School, "when we joined with all the college students and marched down Academy Avenue (father of University Avenue) to the Provo Tabernacle. All the students sang, 'Stars of Morning, Shout for Joy,' and it was one of life's biggest moments." The comparative prosperity that Utah had enjoyed during the 1920s came to a halt when on October 29, 1929, the New York Stock Market collapsed, bringing on the Great Depression.